Thirty five "plus" years - Heartland Properties have provided clean, well cared for, affordable rental and leases in Danville, IL. We continue to strive to give our tenants the best experience in quality and great locations for office or warehouse space that gives great access and exposure. From Banking to Medical, we will work with you to secure your office location and start building your business. Commercial / Professional Building locations offer high traffic count, with an ample supply of private off street parking. This Class A office and retail space has high traffic count with easy ingress/egress, large LED pylon signage with WATCHFIRE digital display, ample parking; 80+ parking spaces supporting a number of business formats. Great location for industry, the Disco Warehouse is located at 1260 N. Michigan Ave. This space will offer opportunity for relocating or expanding your business needs. 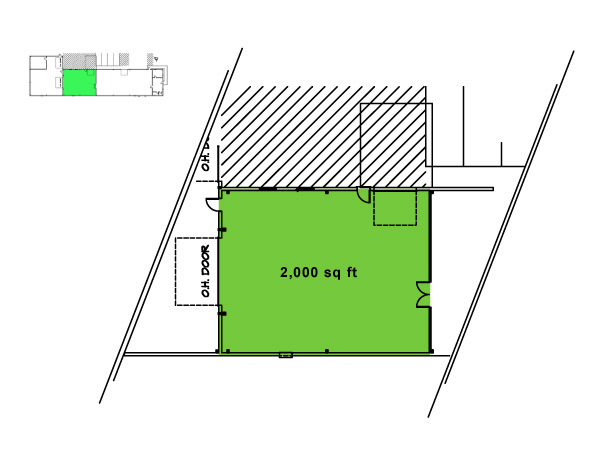 This single story space has 2 overhead doors, close access to street and 3 phase power and many more features. 2000 sq ft available with roll up garage door, walk door, dock, security system and cameras. Space available as short or long term lease. Long term lease $750 per month.